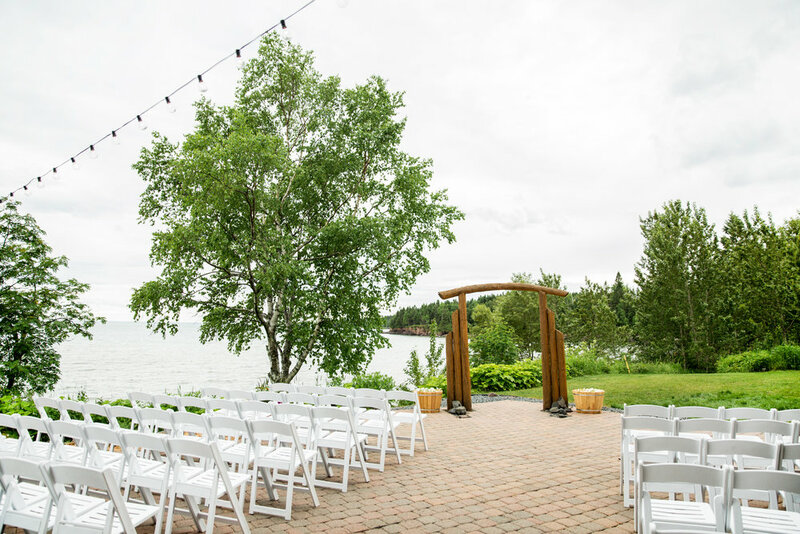 Set on a beautiful September afternoon, nestled in Carlton, MN at the Oldenburg House, Brynn + Mike promised forever to each other + it couldn't have been more perfect! From the giant ferns hanging on the porch to the custom cocktail from Vikre Distillery, the day was full of Southern charm! Brynn's bouquet consisting of Astrantia, Ferns, Gardenia, Foliage, Anemone, Garden Roses, + Spray Roses. 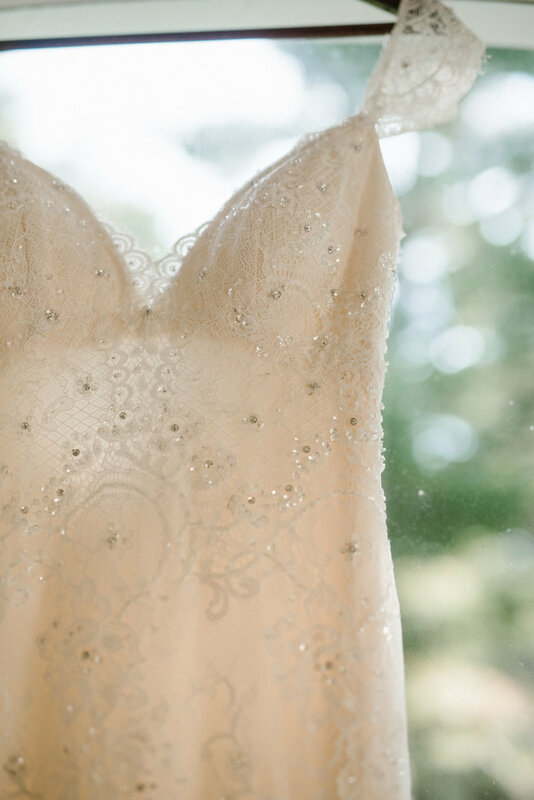 The whole day was styled + coordinated to perfection by Mary from Pure Event Planning + Design! 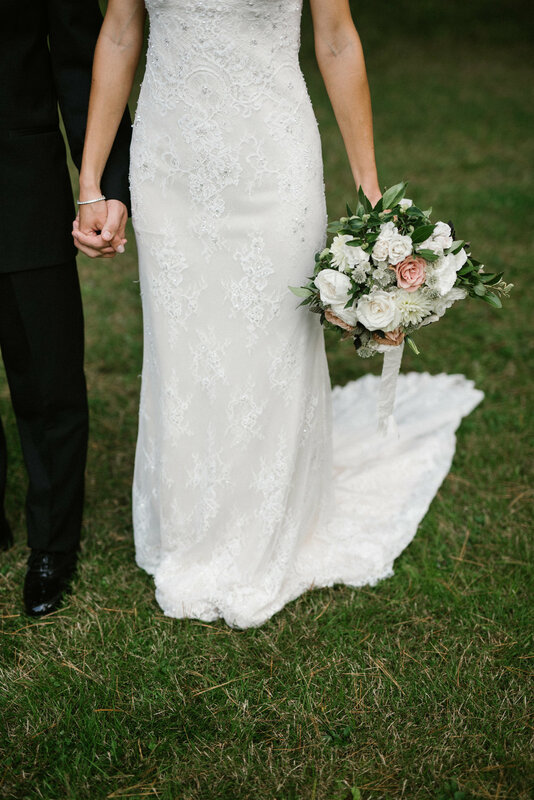 One of our favorites around, her eye for detail + type A personality makes her your go-to gal for your big day! We heart Mary! 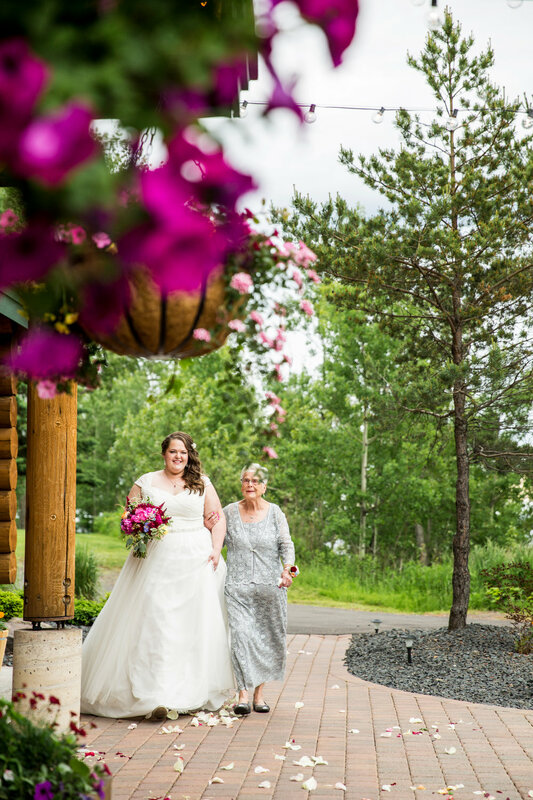 Emily + John's wedding this past summer up at Grand Superior Lodge was spectacular, spectacular! Floral inspiration from "Fairy Dell" china; a delicate but bright floral print paired brilliantly with the lush green landscape + blue waters of Lake Superior!. 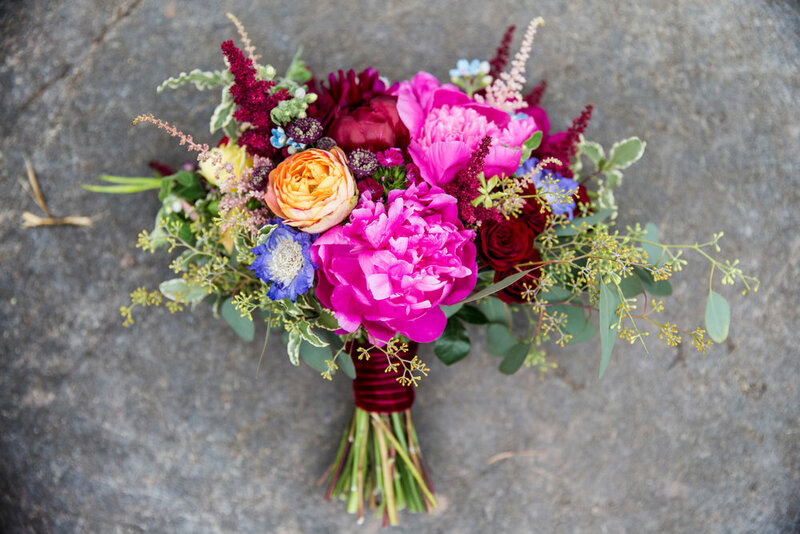 Emily's bouquet consisted of peonies, dahlias, tweedia, scabiosa, spray roses, astilbe, seeded eucalyptus, + ranunculus in a variety of bright + happy hues. 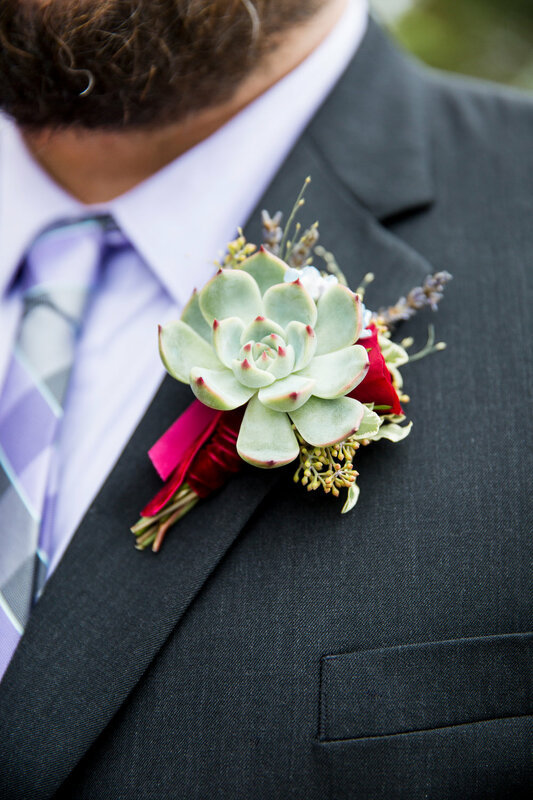 John's boutonniere coordinated nicely consisting of a succulent with a ruby spray rose + seeded eucalyptus accent. 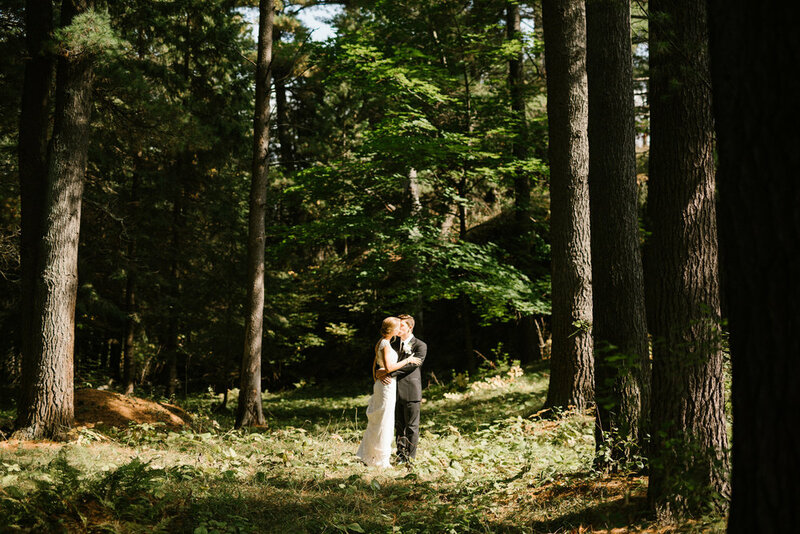 Mary + Lon's gorgeous (inland)sea-side wedding at the historical Glensheen Mansion is our Fashion Friday for every reason. Mary's Gatsby-inspired dress is a sight in and of it's own and is complimented beautifully with Lon's blue-toned suit + the bridesmaid's sea-glass chiffon dresses in varying hues tied their classic, beachy wedding together perfectly! 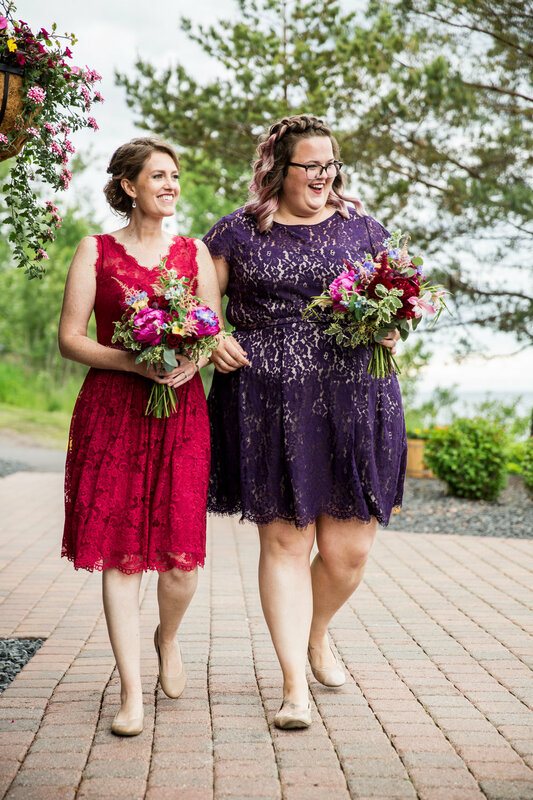 The bridal bouquet consisted of veronica, stock, eucalyptus, bay leaf, ranunculus, peony, + olive branch, finished off with a gorgeous, draped chiffon wrap to coordinate with the bridesmaid's dresses. Lon's boutonniere, along with the groomsmen, consisted of ranunculus, eucalyptus, + plumosa fern accented a masculine leather wrap. Mary's hair crown was a simple greenery base of bay leaf + eucalyptus along with white ranunculus + mini spray roses. For the reception, garlands consisting of bay leaf + seeded eucalyptus, brass-toned planters, + metal laser-cut accents; many different textural elements working in synchronicity to complete their perfect day! Happy 1 year Anniversary, Mary + Lon!